How to Overcome The 3 PM Slump? Oh, its around 12:30 pm and you are going great. You are happy to realize that you are done with half of your assignments and you still have ample time; precisely, five and a half hours to complete the remaining. And out of nowhere, you suddenly feel, that your eyes are turning heavy! You are yawning quite often, your fingers are freezing on the keyboard and the monitor is staring at you. Your brain seizes to come with quick and unique ideas and you’re having repeated flashes of your cozy bed! You look back to the monitor screen and yes the system screen displays 2:30 PM as the accurate time. No wonder you are sleepy. Well, you have already spent a couple of hours doing nothing besides dozing. The task that was so easy to complete will definitely get piled on for tomorrow. Hey relax! You are not the only one. There are many who are suffering from this 3 pm slump. It can be termed as a growing epidemic in corporate houses. Its like come what may, we are ready to fall asleep! Again, there exists a small population that remains energetic throughout the day. Strange and incredible! Are they having an interesting profile to handle? 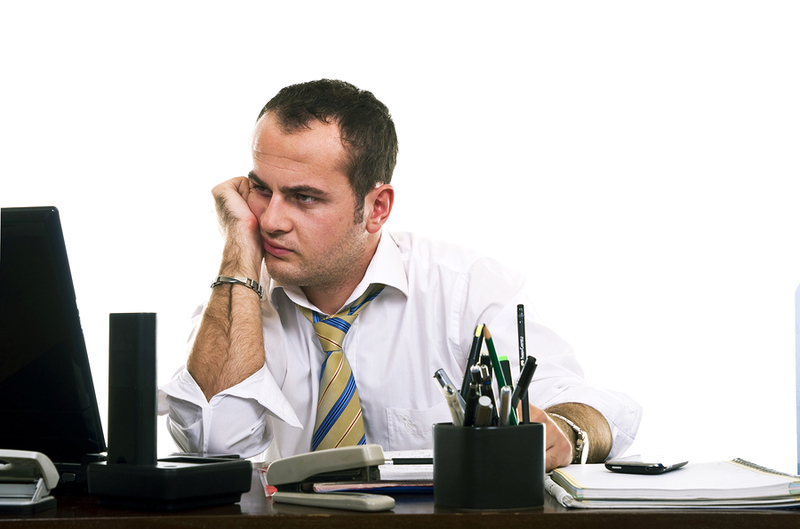 Is your work very monotonous and boring? Wait! You just loved this profile in the morning! Definitely there has to be something more to this mystery. Now, how can you fight this 3PM slump? Its pretty simple. Go ahead and speak to people who are not suffering from this “syndrome.” Not a Good idea? Well, then you can read this handout that shares some effective tips of fighting back this 3PM slump. How to overcome the 3PM slump? Well, its not that you are destined to meet such unfortunate fate. Perhaps you’re going wrong somewhere and once these things fall in place, you too will remain vigorous and committed to your work. Below are certain suggestions you can try implementing to curb out this 3PM slump. However, do you know what should your personal refrigerator carry? No, its not your favorite dish or chocolates alone. 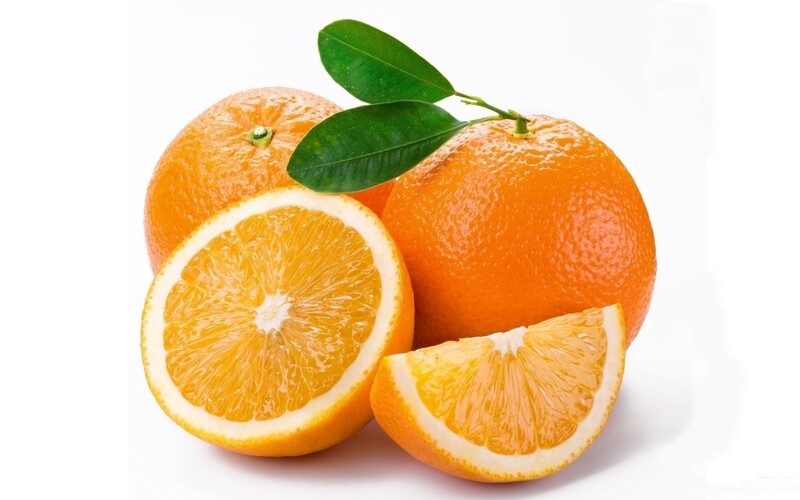 Oranges are said to be rich in Vitamin C and a great source of energy. So, when your body is fatigued and thus makes you feel sleepy, a gush of energy can revitalize you and thus fight sleep. Second, nuts can work as a wake up call definitely. Let aside all nutrition and medical theories; continuous chewing movement will definitely help to remain awake for the rest of the day. Now, some might say having fries can also bring out the same result. However, the nutrition value is missing my friend! Oh goodness! If you only knew that fighting sleep was that easy, you would have tried it long back. Isn’t it? Water has many health benefits and some “corporate” benefits as well! 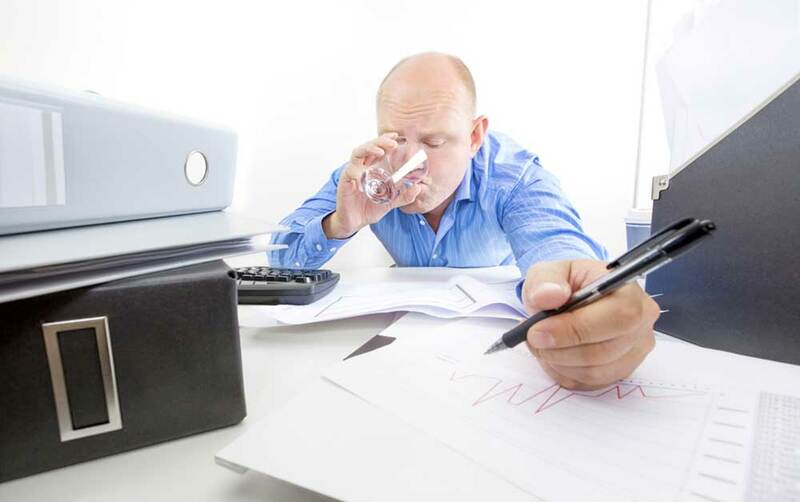 This sluggishness that most of us experience is largely related to dehydration. Well, all of us are working for quite some time now and perhaps we are not providing our body with exact fuel required. And just after lunch, a couple of water sips are not at all sufficient. Thus, we all feel tired and sleepy, as our body is exhausted and needs some energizing factors. From now onwards, whenever you get this slump attack, get a glass of water and take frequent and continuous sips. This will keep you hydrated and full of energy. Sleep then stays far away from your territory. Well, caffeine is not always bad. Rather, a cup of coffee at an appropriate time with an exact amount of caffeine has many benefits. One among the many different advantages about coffee at workplace is that, it is an excellent sleep repellent. An extremely lazy afternoon at workplace can be made surprisingly active with just a simple cup of coffee. So, sometimes when water doesn’t seem to work well, a cup of coffee will definitely work wonders. Banish sleep with some wake up songs. 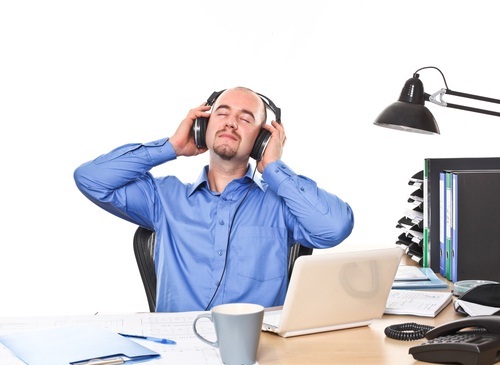 Music similar to coffee has many advantages and contributes at improving workplace performance upto a great extent. However, deciding whether music is good or bad at work is a difficult task as it depends on professionals and the type of work they do. However, it is certainly best to repel sleep while at work. So, listen to some tracks and see how you feel enthusiastic and focused. Well, if all these above strategies fail to help you conquer over these afternoon slump attacks, the only resolve is to take a break. Yes, you are running short of time; moreover you’re sleepy and don’t want to walk around the campus now, you need to do it my friend if you wish to get over this thing. Walk out of your workstation, go out and get some fresh air. Don’t sit, but keep walking until you feel a little more vibrant and lively. Next time when you return back to work, you will definitely have some quick flow of ideas and your fingers will run through the keyboard. Thus, you overcome this 3PM slum. These were five important tips of how you can overcome this 3pm slum. Try these and see if it helps you as much as it helped me. Hopefully you will no longer lag behind in achieving targets; just because you felt sleepy.